Original Meat(less) loaf recipe can be found here. 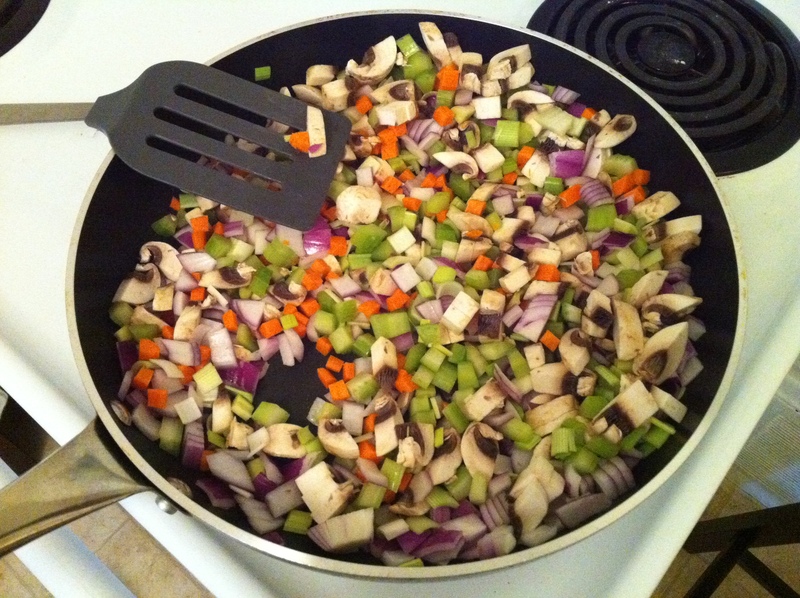 I subbed the cannellini beans for kidney beans and I also added leek & mushroom to the stir fried veggies section. 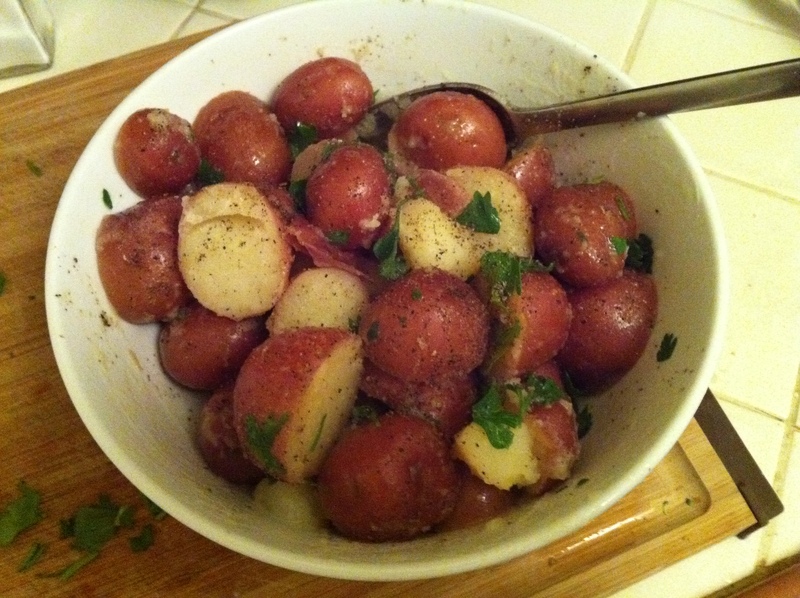 Potatoes were boiled (with some olive oil in the water) then mixed in a bowl with salt, pepper, chopped parsley & margarine. 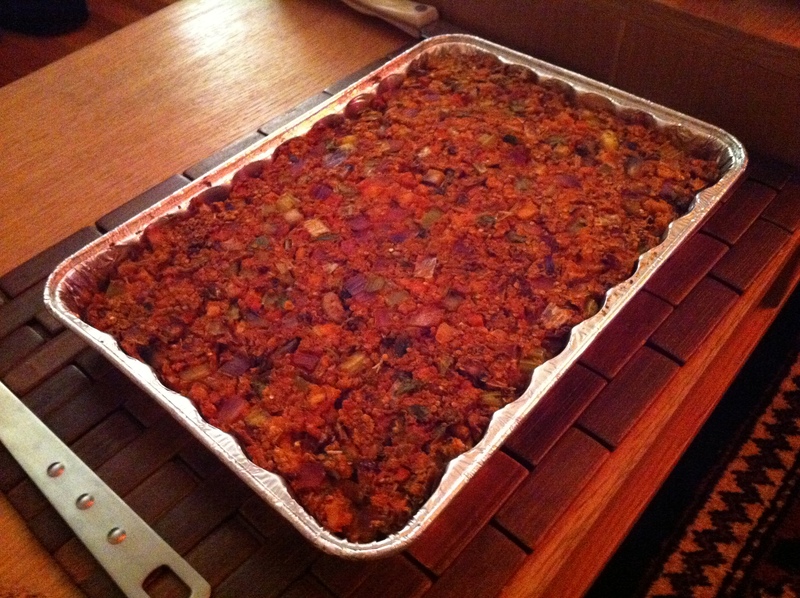 That meatless meatloaf looks so good! I’ve been wondering what I should make for the holidays, that’s such a good idea!